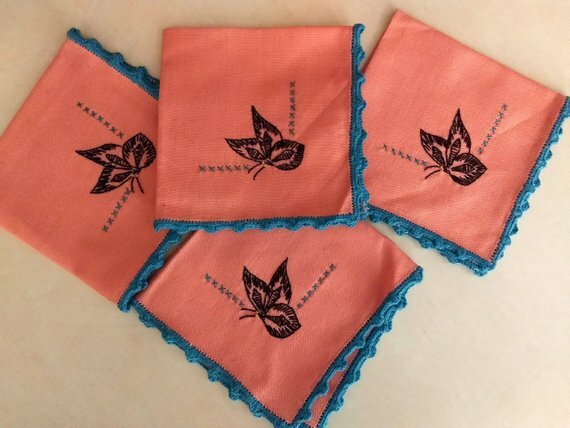 A set of four vintage 1950’s, mid century, cloth table napkins in a coral Indian Head cotton fabric. Hand embroidery butterfly, in black thread, in one corner. Edge f the napkins are finished in a complimentary blue hand crochet., The four appear to be unused.